Carl Long picked up the 2nd last-place finish of his NASCAR XFINITY Series career in Sunday’s 3M 250 at the Iowa Speedway when his #40 Braille Battery / Grafoid Toyota fell out with electrical issues before he could complete any of the race’s 259 laps. 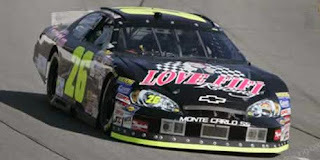 The finish was Long’s first of the season and his first in the series since August 5, 2006, when his #26 lovefifi.com Chevrolet fielded by Keith Coleman also fell out with electrical issues after 36 laps of the Kroger 200 Benefitting Riley Hospital for Children at Lucas Oil Raceway, 292 races ago. Sunday’s finish occurred in Long’s 85th series start. A part-time driver in NASCAR’s top three divisions since 1998, Long is one of the sport’s most prolific underdogs, the obstacles he’s had to overcome. Driving for the late Thee Dixon, Long sped his way into what was to be his first Cup start in the 2000 Coca-Cola 600, but graciously sold his ride to Darrell Waltrip, who had failed to qualify for what was to be his final start in the event. His last-place finish at the Lucas Oil Raceway in 2006 came three weeks before his 23rd, and to date, most recent start in a Cup Series points race when he finished 41st in the Sharpie 500 at Bristol driving the #34 for Front Row Motorsports, then a single-car team in just its second season on the circuit. More than this, Long is known for the particularly steep obstacles he’s had to overcome in the sport. 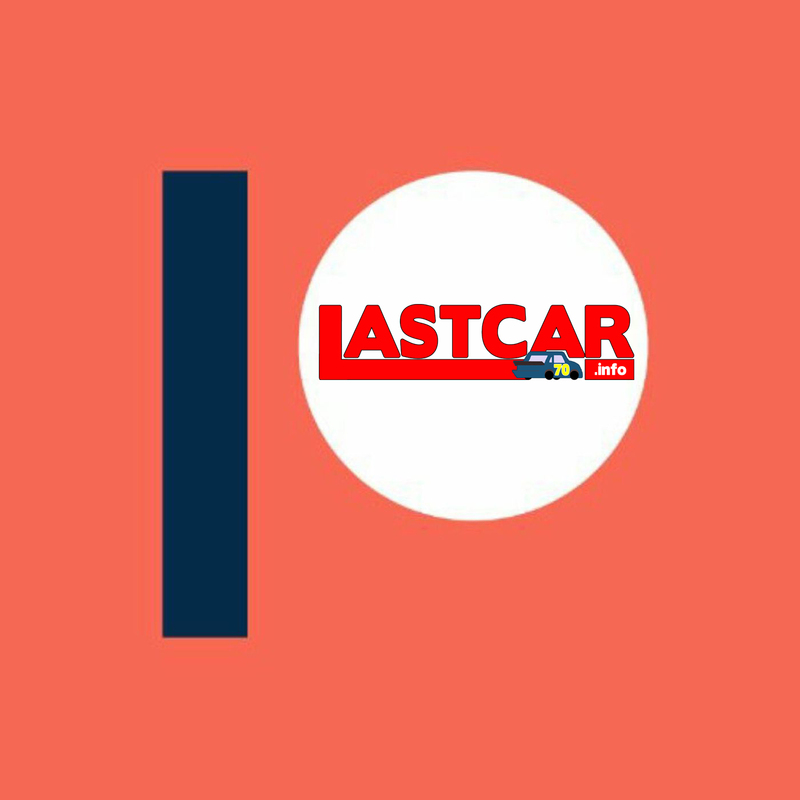 In 2004, Long was one of several “field-fillers” - underfunded competitors with the thankless task of keeping the field at 43 cars during a recession. 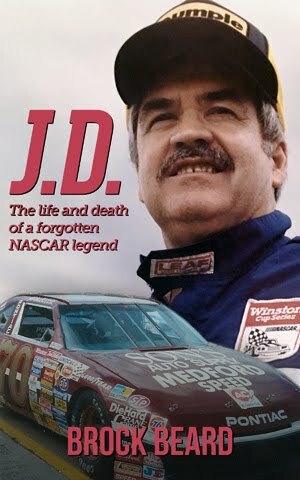 At the season’s second race at Rockingham, Long was involved in a spectacular tumbling crash down the backstretch that destroyed his outdated #46 Dodge. 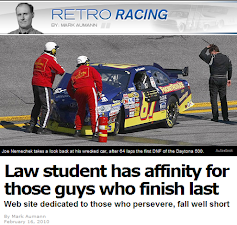 The wreck inspired a crowd-funded effort which got him back to the track in a new car later that season. 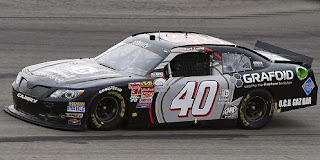 By 2009, Long was running his own single-car team, but after he lost his second engine of the weekend in the Sprint Showdown, leaving him last in the non-points race, NASCAR handed down record-setting penalties, arguing that his blown motor was too large. Long’s team closed soon after, and the journeyman driver has struggled to pay off the fine ever since. In the six years since the Sprint Showdown penalty, Long has run a handful of races in NASCAR’s lower two divisions for a variety of different teams, including 10 Truck Series races for Daisy Ramirez in 2010 and a career-high 25 XFINITY Series rounds for Rick Ware in 2011. Though relegated to a “start-and-park” driver for the majority of those starts, he scored a career-best 11th-place run in Ramirez’s truck at Dover in 2010. 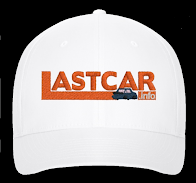 This year, he drives for Derek White’s start-up team Motorsports Business Management (MBM). One of the cars in MBM’s stables is a bright blue and orange Dodge resembling the car Long flipped in 2004. At Iowa, Long was one of 41 cars on the preliminary entry list. While teammate John Jackson drove the blue #13 Dodge, Long was assigned a black Toyota without the manufacturer’s emblem on the nose since the team was still running the pre-2015 Camry body. After the withdrawal of Atlanta last-placer Morgan Shepherd, Long, Jackson, and the rest of the field were guaranteed a starting spot in the race. Long was one of 7 drivers who didn’t participate in Saturday’s first practice session, and his #40 remained off the track in Happy Hour while he instead helped Jackson practice MBM’s #13. Long’s #40 turned just a single green-flag lap all weekend - his qualifying lap of 122.716 mph, good enough for the 38th starting spot based on owner points. Long and Jackson were among the six drivers sent to the rear before the start of Sunday’s race, a group which included Erik Jones, switched into the #20 Interstate Batteries Toyota after teammate Drew Herring put his car on pole in qualifying. The race was barely a few seconds old when Long’s car stalled on the inside of the track in Turn 3, bringing out the first caution of the afternoon. Long’s car was brought behind the wall without making it back to the stripe, and while the leaderboard indicated Long was “off” for at least the first 75 laps, the team couldn’t get him back on the track, and he retained the last spot. 39th went to Talladega last-placer Charles Lewandoski, this time in the unsponored #19 entry for TriStar Motorsports. TriStar’s #10 was absent from the Iowa track, perhaps because on Friday regular driver Jeff Green was running his first Sprint Showdown since 2008 in The Motorsports Group’s #30. Green came home 20th in the qualifying race’s field of 29. 38th went to Brennan Poole and the #42 DC Solar Chevrolet. Poole qualified 12th and was chasing down the leaders when the sliding #28 Texas 28 Spirits Stage Toyota of J.J. Yeley made contact with him on Lap 11, sending Poole into the outside wall. Poole returned to the track 113 laps down around Lap 130 and on Lap 152 wrecked Yeley at the same point on the track. Poole was parked by NASCAR, ending his run after 39 laps. Rounding out the Bottom Five were Harrison Rhodes, whose JD Motorsports #0 had suspension issues after 42 laps, and B.J. McLeod, who followed-up his next-to-last place run in Friday’s Truck Series race at Charlotte with a 36th in Rick Ware’s #15 BYB Extreme Fighting Series Chevrolet. *Long is the first driver to finish last in an XFINITY Series race without completing a single lap since Jeffery Earnhardt’s first-lap engine issue on his #4 JD Motorsports Chevrolet last November at Phoenix. No driver had ever finished last in an XFINITY race at Iowa without completing at least one lap. *This is the first last-place finish for both Long and the #40 in an XFINITY Series race at Iowa. i thought long refused to pay the ban and has been banned from driving in the cup series until he pays the fine. It's more like he is unable to pay it rather than refusing to, but yes you're right, he (and his wife, who owned the car, and the crew chief) are banned from the Cup garage until the fine is paid.